When we first did Paleo (Whole30) back when I was pregnant with #2, we stuck to the rules military-style, and that included no chemicals in any-thing. So we had to make our own stock. What? Making your own stock is awesome, super rewarding and easy-peasy. And it is delicious. In fact, after we learnt about it we stopped buying boneless, skinless chicken breasts so we had extra bones to use, and by doing so, saved some money at the same time (boneless meat is often more expensive). Cook a roast chicken. This is my go-to recipe and I love love love it. It’s a throw-together rustic version of a roast chicken. Invite some friends over, and enjoy your dinner with some good wine and laughter. Pick as much meat off the carcass as you can, gobble it all up or save whatever you have left over for chicken mayo toasties, salad toppings etc. Then take the carcass and pop it in a pot and pour about 3L-4L of water over it. Now you get creative… Was there a mushy lemon in the carcass cavity? Throw that in the water. Cut up a couple carrots, an onion or two, a couple sticks of celery, salt, pepper and some herbs (bay leaves, parsley, thyme etc.) from your garden. Basically any veggies (flavours) you have lying around, chuck them in. Bring it to the boil for around 20min. Then (my favourite bit), pop it in your Wonderbag. Overnight. At end of cooking time, open bag, check temperature immediately to be certain stock measures 60° C/140° F or higher. Strain the liquid through a sieve and throw the veggie bits in your compost. For maximum flavor use the back of large spoon to press as much liquid as possible from meat, bones and veggies. Add additional salt and pepper to taste and pop your delicious flavoursome liquid it in the freezer. Done! (If you don’t have a Wonderbag, you can let it simmer gently for around 30min. Check on it and then turn it down and let it cook on low for another hour or so – just don’t forget about it). Chemical, MSG, nonsense-free stock. Yum. What is the total cooking time for your chicken bone broth? 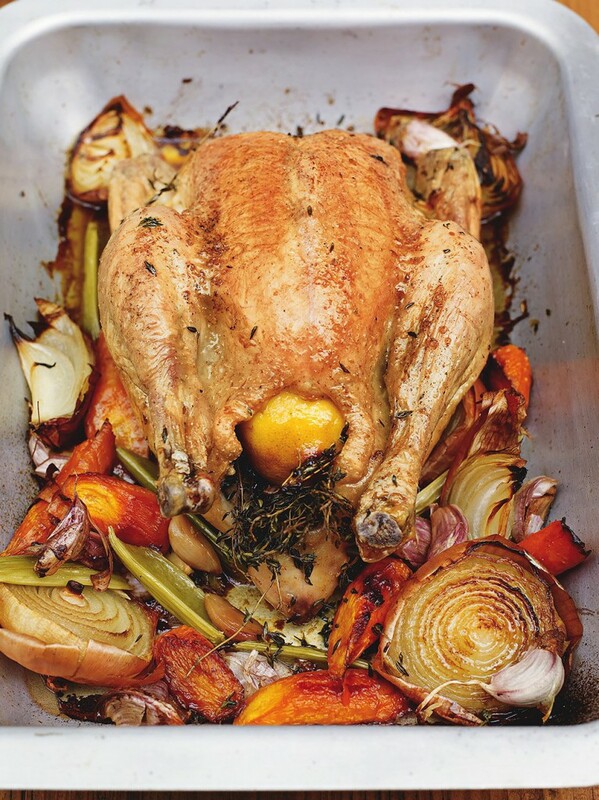 I’ve only tried from (bought) meaty bones before and for that I went 24 hours plus – and well since we do roast the occasional chicken I would love to give this recipe a try too!